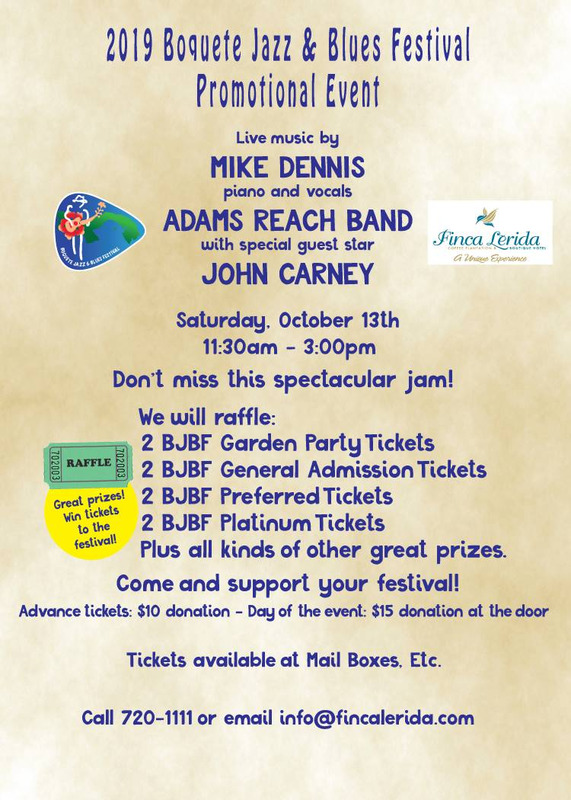 Support YOUR festival by attending the special daytime event benefiting the 2019 BJBF. Plenty of parking; beautiful new INDOOR facility; 3 performing artists including Mike Dennis, Adams Reach Band, and John Carney. And enter the raffle to win Festival and Garden Party tickets! Advance tickets available at Mail Boxes Etc. ($10) or at the door ($15). Festival t-shirts, food and beverages will be available for purchase. Don't miss out!